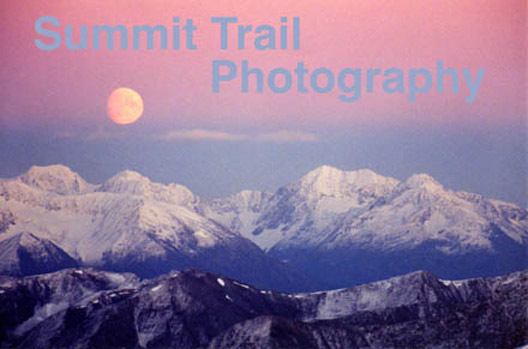 Hello and Welcome to Summit Trail Photography on the Web! Specializing in wildlife and nature images primarily from Alaska and Northwestern Canada. Please enjoy the images and check out the Wildlife Notebook section for specific information on the wildlife and nature presented in my images. The new Wildlife Challenges section addresses some of the wildlife "management" issues that threaten the wild animals and the ecosystems that make Alaska special. It is my hope that the more each of us appreciate and understand the natural world and its wonders, the more that we will strive to protect and restore it.